The Sebel Pelican Waters Golf Resort & Spa is ideally located on Queensland's beautiful Sunshine Coast at Caloundra. This affordable holiday accommodation is Caloundra's first and only international full service hotel, and is positioned overlooking the Greg Norman-designed Club Pelican golf course. The Sebel Pelican Waters Golf Resort & Spa offers fantastic views of rolling greens, structured fairways and picturesque waterways. 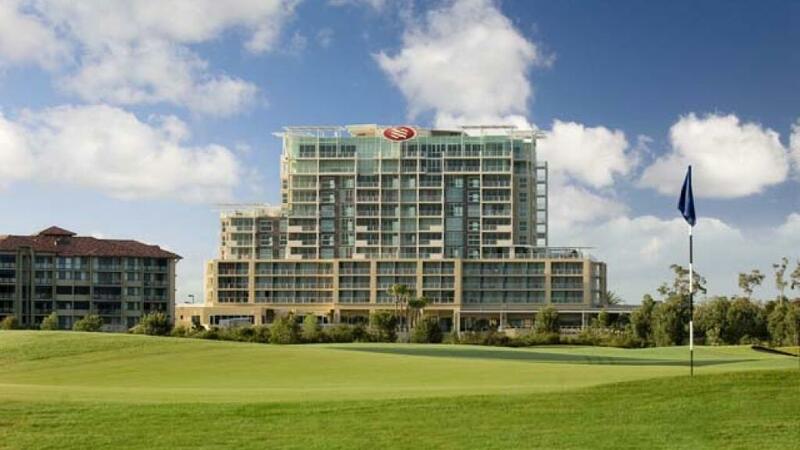 The Sebel Pelican Waters Golf Resort & Spa showcases a selection of studios and suites, with each featuring private balconies with views, modern conveniences and contemporary furnishings. This Sunshine Coast accommodation provides the perfect destination for a holiday escape or short break with a range of resort facilities including an 18-hole championship golf course, day spa services and beauty therapy treatments at the day spa and a lagoon style swimming pool and heated lap pool. The Sebel Pelican Waters Golf Resort & Spa is less than an hour north of Brisbane City and a 30 minute drive from the Sunshine Coast airport. Caloundra is a favourite beach holiday destination with its relaxed atmosphere and family friendly beaches. The Sebel Pelican Waters Golf Resort & Spa offers studios and suites, all with modern facilities and private balconies with views. Studio: Perfect for couples. Studios feature private bathroom and balcony with views over the terrace of the hotel, lagoon style swimming pool and gardens. Bedding is 1 Queen Bed. Maximum room capacity is 2 Adults & Children. Deluxe Spa Suite: For a little more indulgence and privacy. Bathroom features large spa ensuites. All Suites feature a kitchenette and have a spacious living area with sofa, desk and chair. Bedding is 1 Queen Bed. Maximum room capacity is 2 Adults & Children. The Grill: A unique and stylish 140 seat restaurant offering the finest in dining with unforgettable views overlooking the resort and Club Pelican golf course. Open daily for breakfast, lunch and dinner. For those who want to be pampered, treat yourself to a day in the Day Spa. 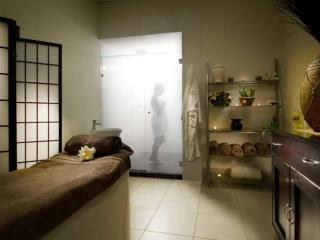 Take advantage of the complimentary use of the jacuzzi, sauna & plunge pool with every treatment. Bookings essential! Club Pelican Golf Course: A Greg Norman designed golf course located in the stunning surrounds of Golden Beach. This spectacular 18 hole championship course fittingly boasts one of the finest clubhouse and practice facilities in Australia.